This post is quite overdue, but since this is New Years Day, I'll make it my mission to tie up loose ends and continue strong. I've known Rachel since the first day I landed in Tokyo, fresh off the plane and excited for my new life in another country. We trained in the same group for an English conversation school, and since then our lives have gone separate ways. Out of the 12 or so members in our class, only about 4 of us still remain. When Rachel asked me to take her engagement photos this past Spring, I was definitely eager to jump on the opportunity. 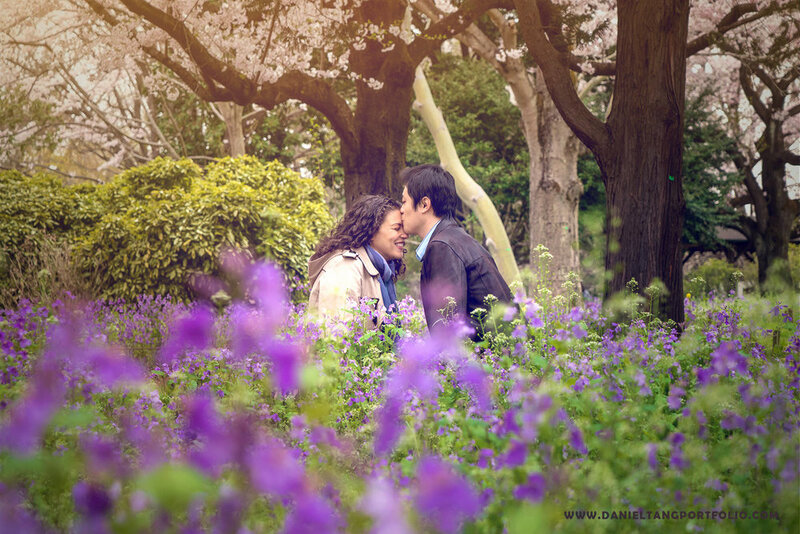 I've always wanted to do a cherry blossom photo shoot, and an engagement session was the perfect way to do it! We traveled to the Showa Kinen Park (国営昭和記念公園) in Tachikawa, in the west side of Tokyo. The park is massive, and definitely would be a difficult challenge to enjoy all of it on foot. The skies were cloudy, but luckily the flowers were in full bloom. 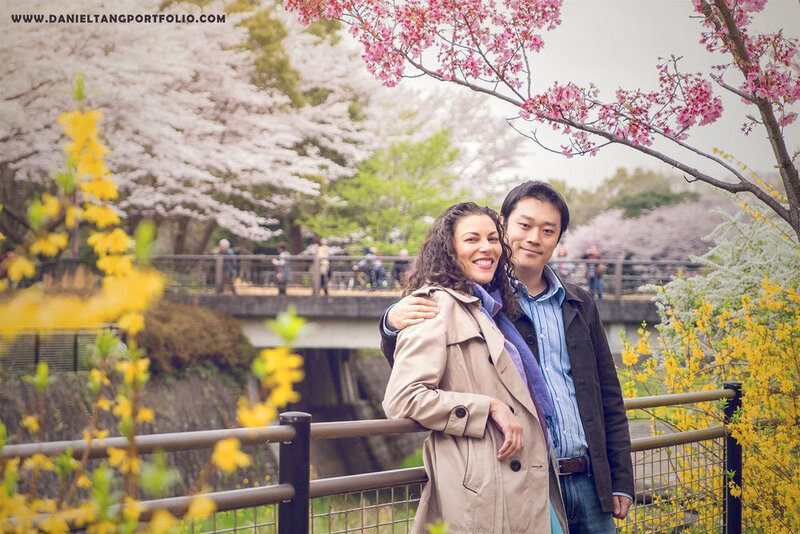 I'm happy that Rachel and Kang really enjoyed their photos. Will be looking forward to more sessions in the future.